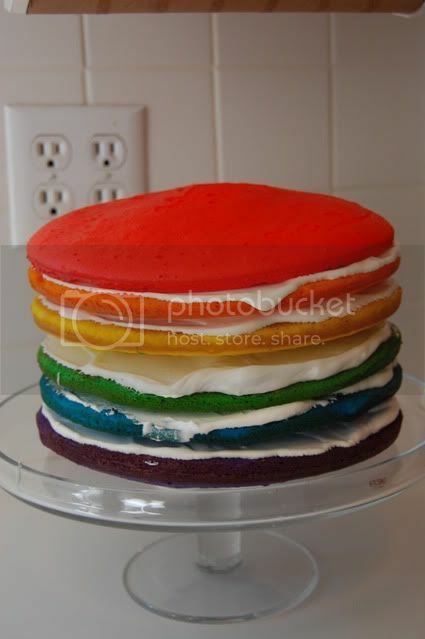 So a few months ago I saw this post about the rainbow cake. I emailed my mother-in-law immediately and told her I had a cake to make for Lisa and Sara's (my sister-in-laws) birthdays and have been excited to make it ever since. 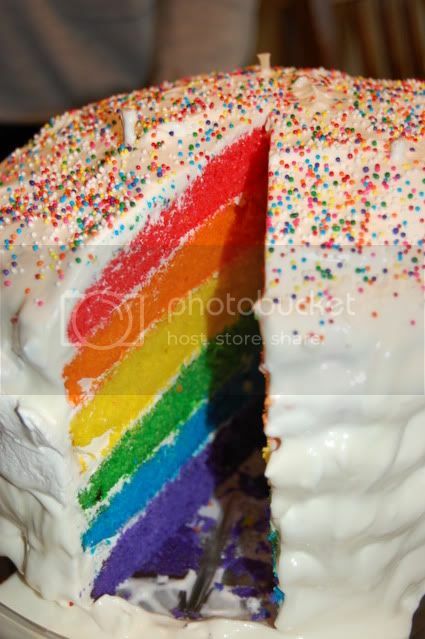 I simplified quite a bit from the original rainbow cake. 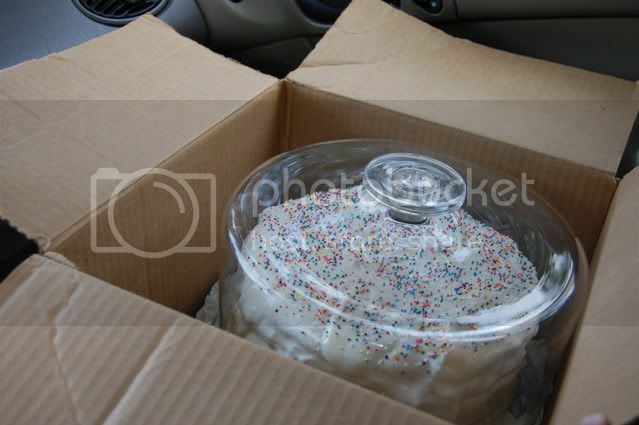 I used two boxes of white cake mix instead of making the cake from scratch. 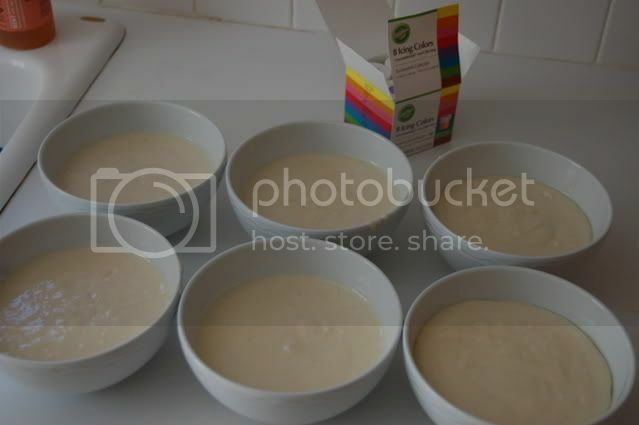 And then I separated the batter into six bowls, trying to make the amount in each one as even as possible. Don't you spell Wallah like Viola or something? Because that's what I want to say about the bright colors below. Tada! I didn't want each layer to bake up too thick, and dividing 2 boxes of batter into six bowls seemed to make the right thickness for each individual cake. 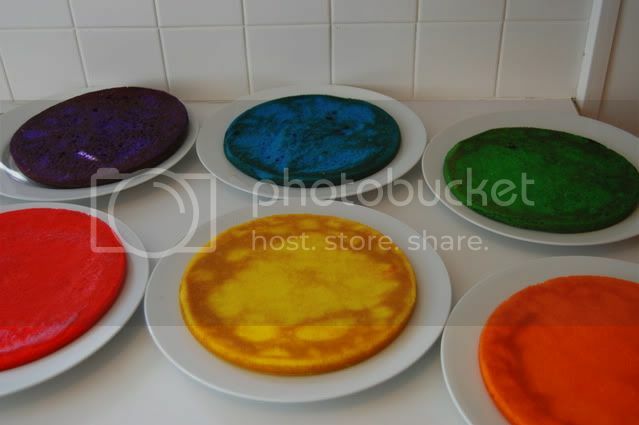 I heavily sprayed my cake pan, lined it with waxed paper and then sprayed the pan again. I wasn't going to risk one of these suckers getting stuck in the pan. I had two cakes in the oven at a time for about 20 minutes. They came out, I let them cool and then mixed up my super easy and delicious lemon icing. It was divine. And runny. And hard to keep on the cake, but it really was good stuff. from my taste of home cookbook: one 14 oz can sweetened condensed milk, 3/4 cup lemonade concentrate, one 8 oz carton thawed whipped topping. Mix the milk and lemonade and gently fold in the cool whip. I doubled the recipe, and I used my mixer. Hence the runny frosting. I knew better than to beat the fluff out of the cool whip, and I even thought, "this might not turn out so well" but I was sort of ready to be done at that point and it seemed like a risky shortcut I was willing to take. I frosted between the layers and used three wooden skewers to hold the cake together when I was all done because this baby liked to slide around and had a serious Tower of Pisa tilt without the skewers. 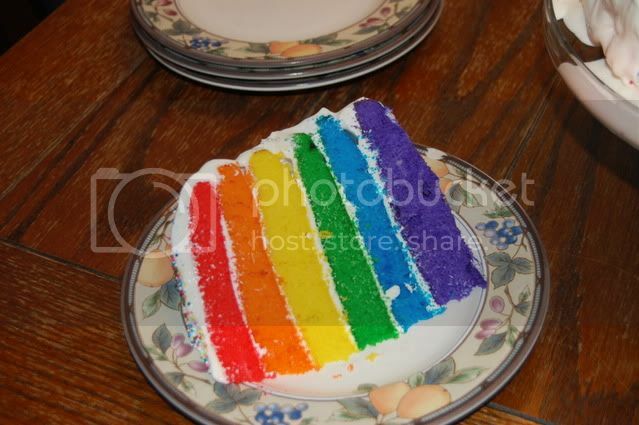 I frosted the rest of the cake a day later with my friend Amanda and we very much enjoyed watching the drippy frosting melt off the cake as we quickly tried to cover all the color. Thankfully my cake stand has a one inch lip around the bottom. That lip has always bothered me before because it's so hard to frost a normal cake with that ring around the bottom, but today it was an absolute lifesaver. I just let the frosting pool. Then I threw it in fridge for another few hours to set up and later I hit the road with this beauty to go and track down the birthday girls. Pictures of the cake cutting and the birthday girls are coming later. My freshman year of college, I was assigned work study in the cafeteria. The first day I showed up in this room with fifty other students and they started calling out areas they needed help in. "The Grill. The Wok. The Pasta Station. The Bakery." And up my hand flew. So then five of us went to the bakery and they listed off other tasks, "Cookies. Bars. 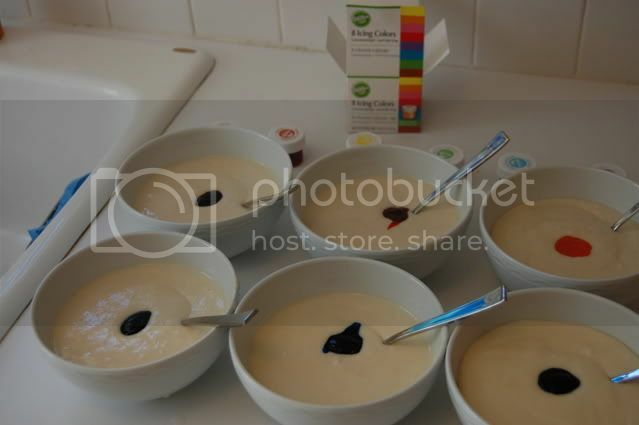 Cake Decorating." I was the last to pick and they said, "we'll put you on cake decorating." It was awesome. I had a whole counter with every color imaginable. 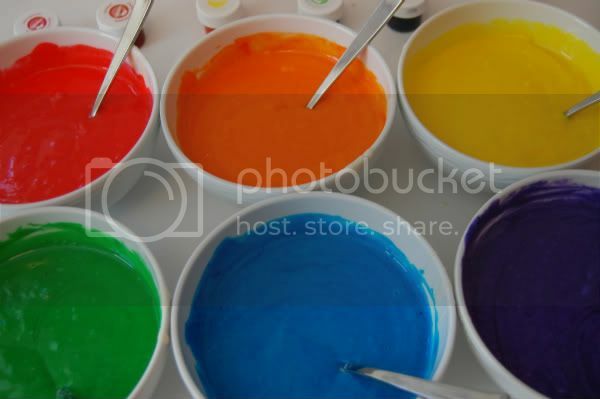 I had five gallon buckets of frosting all around me and a list each time I showed up of students who had a parent order them a birthday cake. There was every tip you could imagine for the piping. 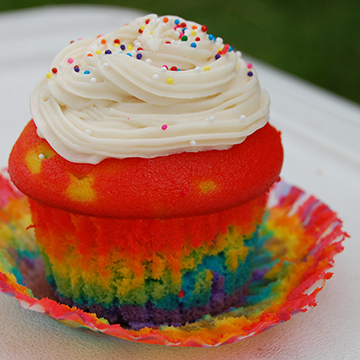 There was every color frosting in the world. 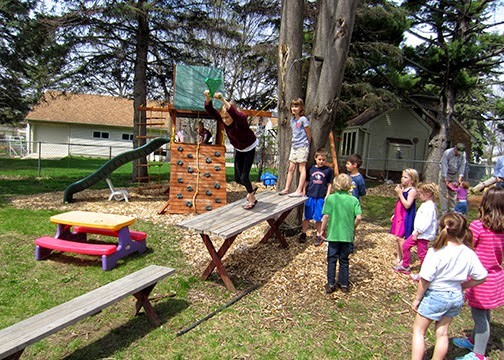 It was like a little playground for me. Only trouble was that I had no idea what I was doing. And those first cakes were horrendous. I had a great time making them, but my lesson was brief and the bags felt huge and I was awkward. 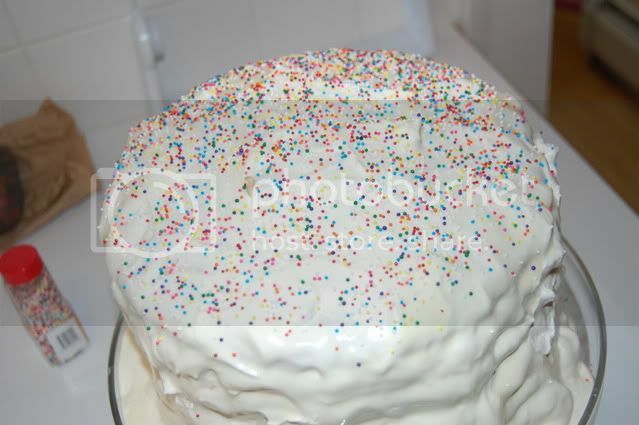 My signature cake became one with confetti and big balloons because once the bag hit an air pocket and burst unplanned frosting all over my cake, I had no choice. Confetti and balloons covered all. No one knew I was the cake decorator and I always thought that was a good thing. And no paying customer (the parents) ever saw the cake they paid for. Another good thing. All this to say, I kept thinking about my days in the Gustavus bakery as I decorated this cake because this one, though it took time, was so easy to decorate. I used a large tip and made little imperfect circles, just going for texture and color. It's my favorite cake I've made. And has my head swimming with new ideas for the next one. 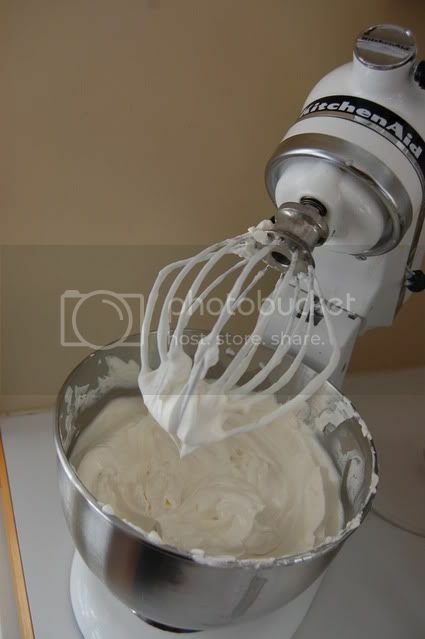 It took four recipes of Aunt Jan's cream cheese frosting. It took two white cake mixes to make the six layers. It took one day to make. It took seven minutes and thirteen six year olds to consume. And it was awesome. I was planning on pastels on the inside, but wow that food gel is potent. I kept trying to use less and less but it wasn't meant to be. 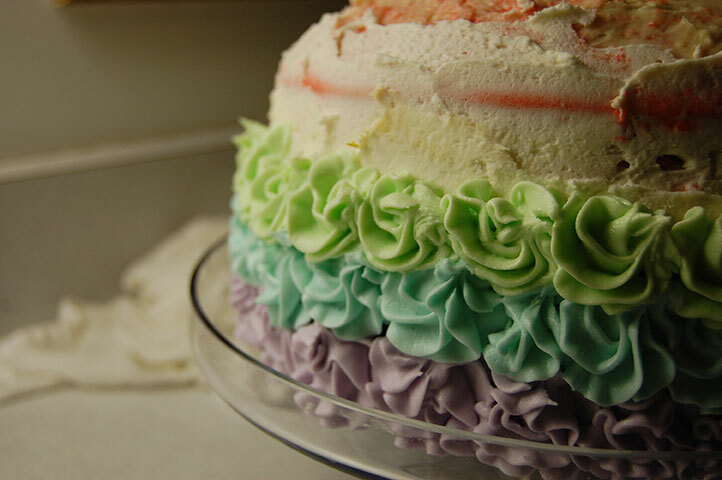 For the frosting I figured out how to just use a toothpick drop of color for each layer, and that gave me the pastels I was going for. Sonna was my perfect client. She was thrilled and told her thirteen kindergarten friends, "Everyone has to close their eyes when my aunt cuts it, because there is a surprise inside! Ready. Close them!" So Happy Birthday Sonna! We love you so much. 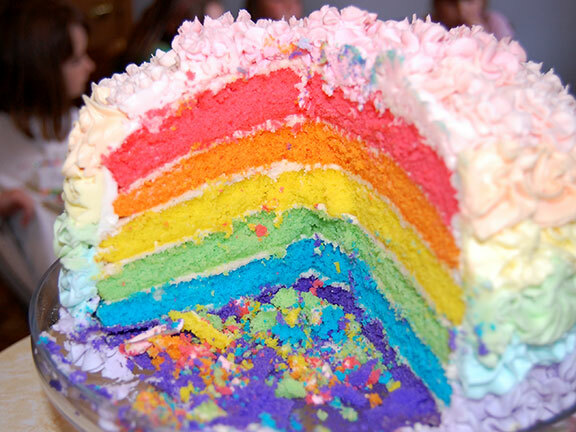 You are the perfect colorful personality to have such a colorful rainbow cake. This is what is happening in my kitchen right now. It's my dream come true in birthday cakes, half way done. 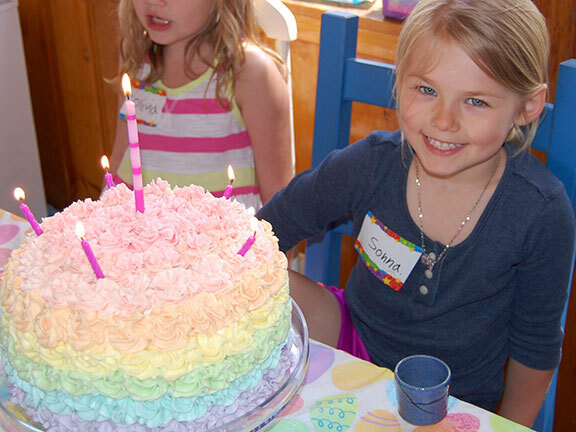 A rainbow cake with rainbow frosting, special request from the birthday girl Sonna. 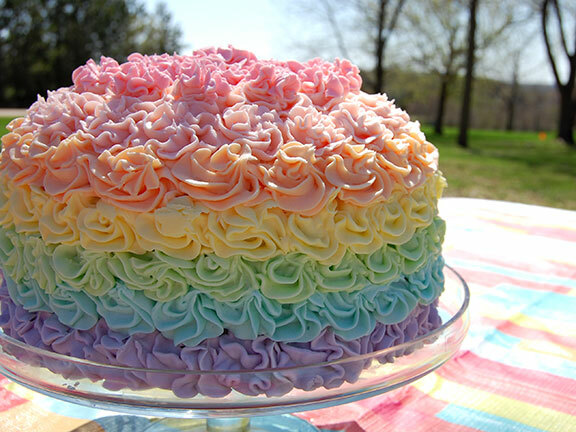 Since the moment Sonna asked me if I'd make her a rainbow cake, my thoughts have been dreaming of this beauty. And now she's coming together. 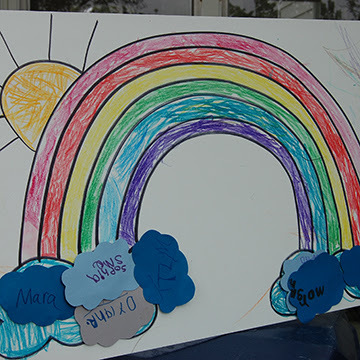 It's tedious and requires a lot of cleaning between each color of the rainbow, but my oh my is it lovely. 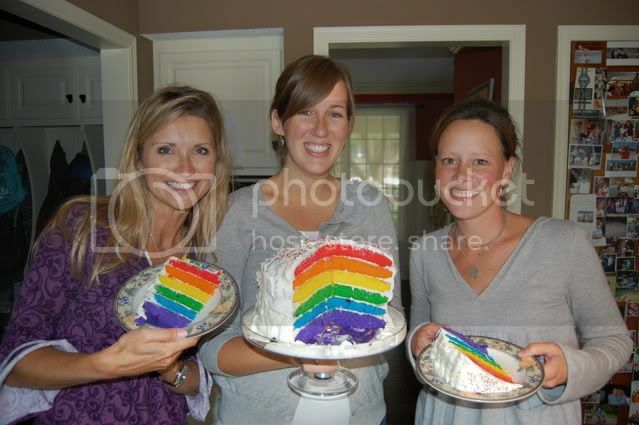 You may remember I made my first rainbow cake for Sara and Lisa. And they seemed to love it. I was pregnant with Ivar at the time. 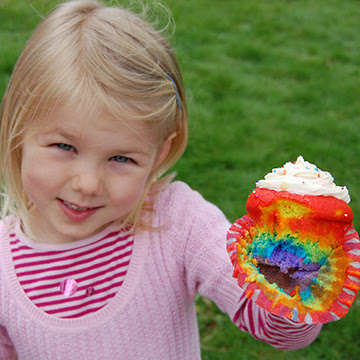 I made my first rainbow cupcakes last year for Sonna's fifth birthday. I was pregnant with Elsie at the time. 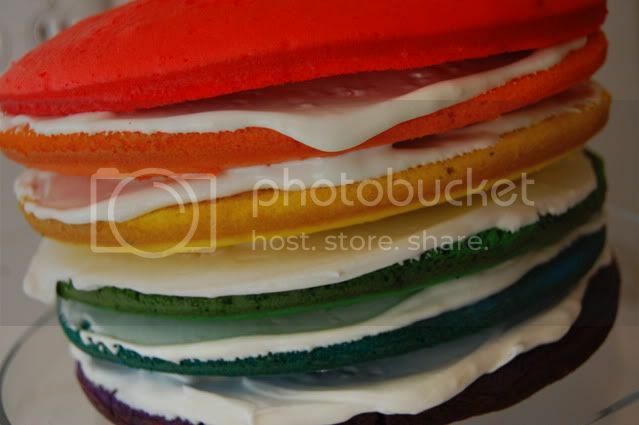 This time around I am not pregnant, but while trying to bake all six layers of Roy G. Biv goodness with both kids awake, I sort of realized how much easier this rainbow cake thing is without a two year old helping and a 9 month old crying out for attention. It was a bit more challenging this time, hence the frosting late into the night while the kids are sleeping. A much better idea. Well, I think we can all agree it was just a matter of time. I finally made the rainbow cupcakes. 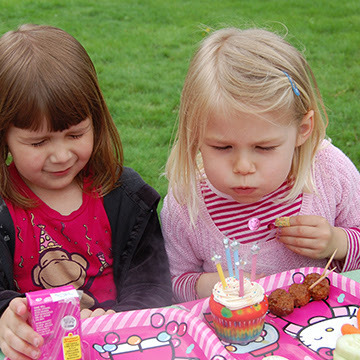 This weekend was filled with birthday celebrations and cupcakes as Mara had her party on Saturday and Sonna had her party on Sunday. 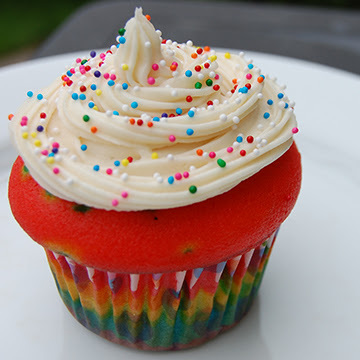 So I gave the rainbow cupcakes a go, with a sweet request from Sonna to make them like the rainbow cake, but just with tiny cupcakes. They turned out splendidly. 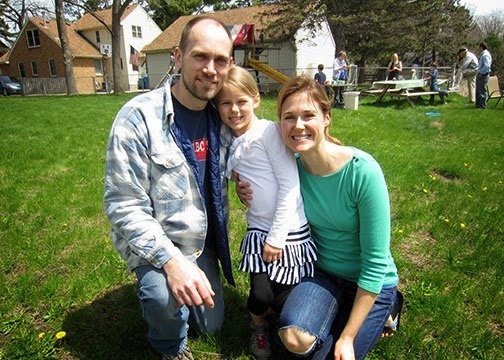 This blog post was sponsored in part by Red Dye #40: Nothing Natural About It. It tasted pretty good too. Which was completely not the point of this cake. But a nice added bonus. So HAPPY BIRTHDAY LADIES! I am blessed beyond words to have these two favorite friends of mine as my family FOREVER. Backed up my computer…on my own! Launched and failed "becca-anna's banana's"
It was a good year, 29. Thanks for being so good to me. Now if you'll excuse me, I have another decade to report to. Mom Groves just sent me an email filled with pictures of Holland in May. 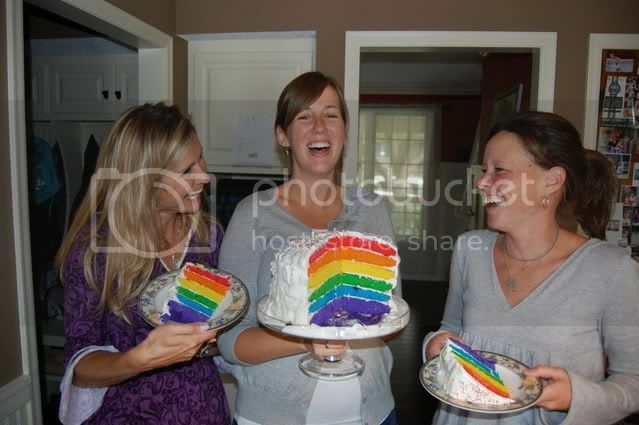 She said the pictures reminded her of the rainbow cake. Just look at this picture! Hello Life List...I must go here some day. 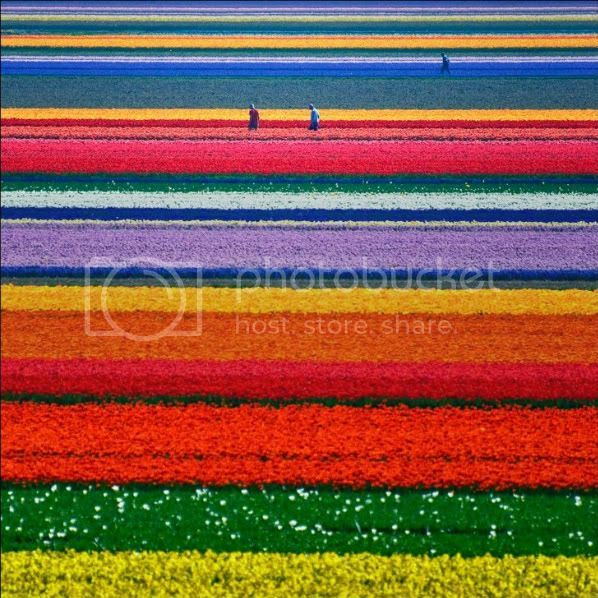 I can't imagine seeing these tulips first hand. Actually, I know that Washington grows a lot of Tulips too..and that might be more realistic than Holland and could easily be done as a trip to see my brother and his family. Hmmm...I think Rory is going to hear about this idea at lunch time. 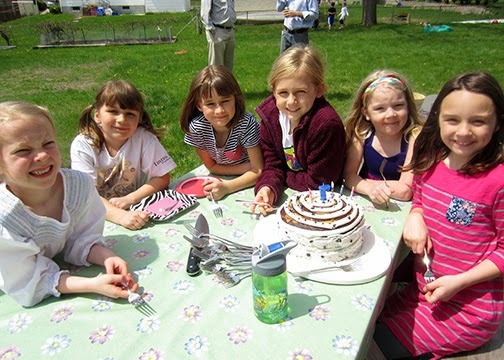 The May birthdays are here! 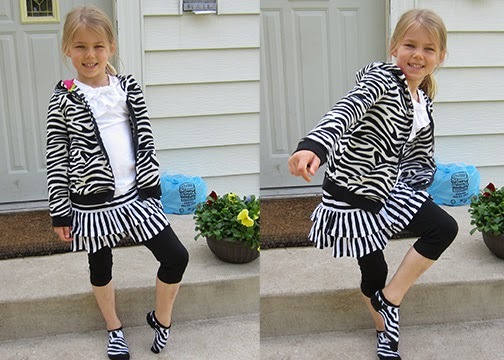 A week after Mara's ladybug party, my niece Sonna had her Zebra party. 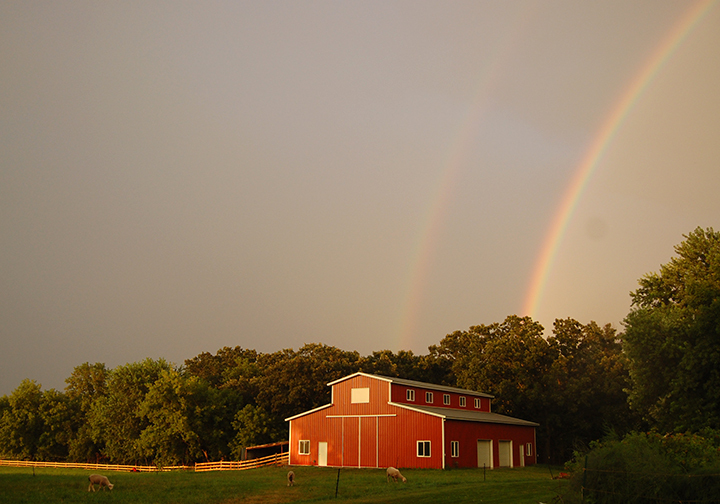 Last year, you may remember was a rainbow theme, and this year was all black and white. 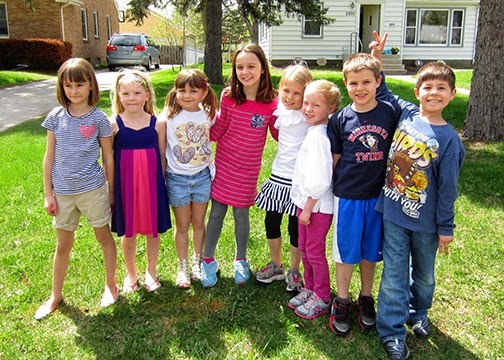 She started her party with a scavenger hunt all over the neighborhood. It was pretty much pandemonium. 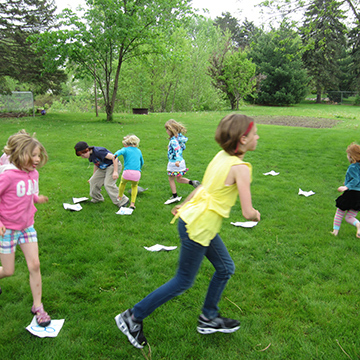 Because nine first graders seem to come with a whole lot energy. 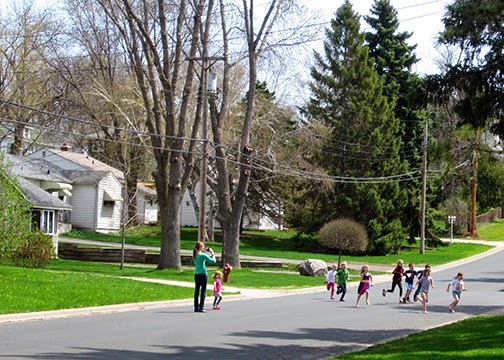 One of the stops on the scavenger hunt was to the neighbor's zip line. Which was a huge hit. Sonna wasn't able to be in the picture with her zebra cake because she was too busy hanging out with the boys at the horsey swing. Sonna has a TON of personality and brings a whole lot of energy to every moment of the day. 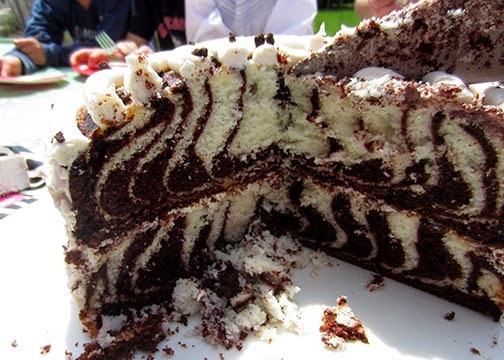 Annika made this awesome zebra cake and the party was super fun. The kids ate those jelly bellies, where each color jelly bean is either something yummy or yucky. A peach colored jelly bean will either taste like peaches or vomit. Or a black jelly bean will either taste like skunk spray or black licorice. That game lasted a long time. And then the kids had hotdogs roasted over the fire and ended playing out under the pine trees in the way, way backyard. We love you Sonna. You are so fun to be around, so full of creativity and energy. Yo have so much personality and confidence. You are amazingly talented at gymnastics and I envy your ability to do a cartwheel. :) I love you so much! Check this out. These bright, brilliant bowls of color, my friends, is cake batter. I can't wait to assemble this baby. We've got some birthdays in the family this week and I have been waiting to make this cake for months now. Today I woke up with a skip in my step knowing that the day to make this beauty had finally arrived! More pictures tomorrow, for sure. Until then, I'd just like to thank Wilton's gel color for being so ridiculously incredible. And I'd like to thank the Lord that I didn't get any of this dye on my countertops or clothing. 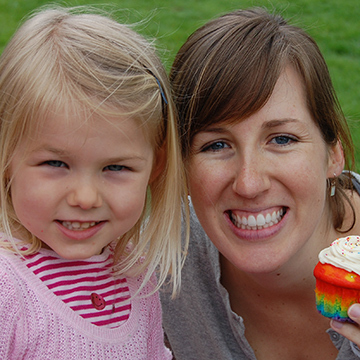 On Friday, Annika and I got together to frost Mara's cupcakes. Mara had found a picture in a kids cookbook of ladybugs. Aren't they cute?!! 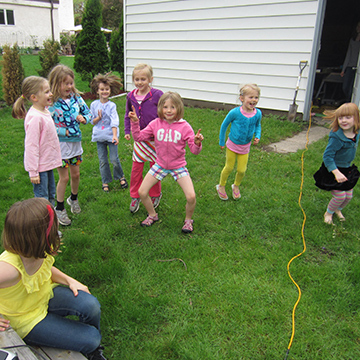 I helped lead the games at each girls birthday party, and tapped into my inner camp counselor...big time. It was super fun, super comical and super exhausting. This first game was like a cake walk, except the numbers were scattered. When the music stopped everyone stepped on a number, we pulled a number from a hat, and the person on that number got a starburst. That's a winner of a game. Easy and active. 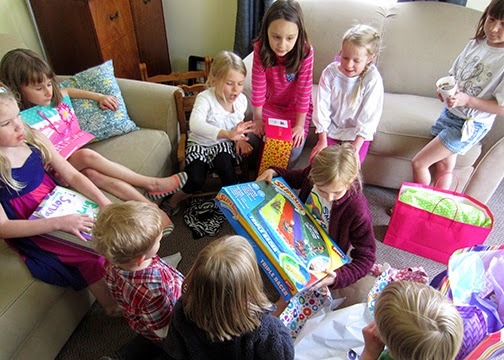 And what is a birthday party without the fishing game?!! 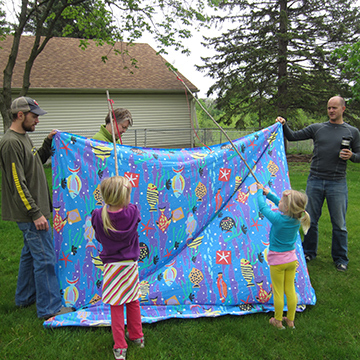 The fishing poles were loaded on the otherside of the sheet with a gummy worm and sent back over. Yum and Fun. 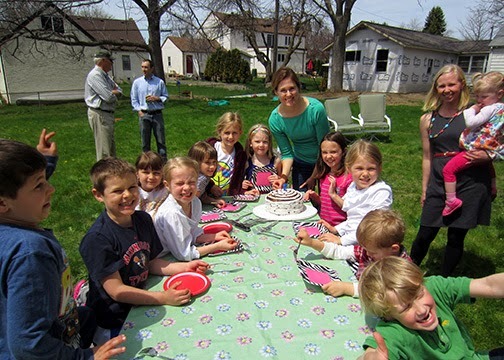 Each party was a little different, as Mara's party had eleven kids around age 7 and Sonna's party had ten kids around age 5. Very different attention spans! 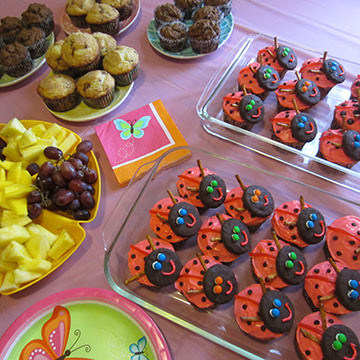 :) But between the two, we also played Birthday Blanket Name Drop, Birthday Tag, Sonna Says, Duck Duck Grey Duck, Pin the Cloud on the Rainbow, Balance Beam (with a book and an umbrella), Birthday Tag, Stone Stone and at both parties a spontaneous dance party was held shortly after the cupcakes had been consumed, thanks to the sugar high.